As our understanding of the biology behind depression and related conditions has developed, many conditions once thought to be purely psychological are now known to have specific links to biochemical changes in the brain. As a result, the treatment for depression increasingly relies on drugs designed to moderate the level of certain compounds in the nervous system. Most drugs used to treat depression work by increasing the amount of serotonin or dopamine available in the body. These chemicals regulate how cells within the brain talk to one another, and also help coordinate interactions between different brain regions. Low levels of serotonin and dopamine have been linked to alterations in mood, and antidepressant drugs are designed to increase the available amount of these chemicals. What Role Do Neurochemicals Play in the Body Beyond the Brain? Serotonin and dopamine play important roles in many parts of the body outside the brain, and antidepressant drugs are increasingly used to treat a variety of conditions such as chronic pain. Both of these compounds are known to affect the heart and blood vessels. In concentrated doses, dopamine is used as an emergency drug to support (increase) blood pressure during surgery and when certain conditions –- such as body-wide infection –- lead to low blood pressure beyond the body’s ability to correct. To a lesser extent, serotonin has similar blood-pressure-raising effects and may increase how sensitive the heart and vessels are to effects of dopamine. What Is the Concern for Those Who Take Antidepressants? Increased levels of serotonin and dopamine play an important role in how these drugs raise blood pressure, but there is probably more to the story, and the precise mechanisms are still a matter of some debate. Current thinking is that these drugs increase overall activity in the nervous system, which might amplify certain signals (such as those controlling blood pressure) that the nervous system sends to the rest of the body. It is also important to note that depression has been linked to low blood pressure (and anxiety linked to high blood pressure). Therefore, by correcting the underlying depression, it follows that blood pressure may "normalize" as a result, which for some people may tend toward the high normal or even low abnormal range. If you have high blood pressure, you can still use antidepressant medications. Your doctor may choose to avoid certain types of antidepressants, and will likely want to monitor your blood pressure carefully during the initial stages of treatment. 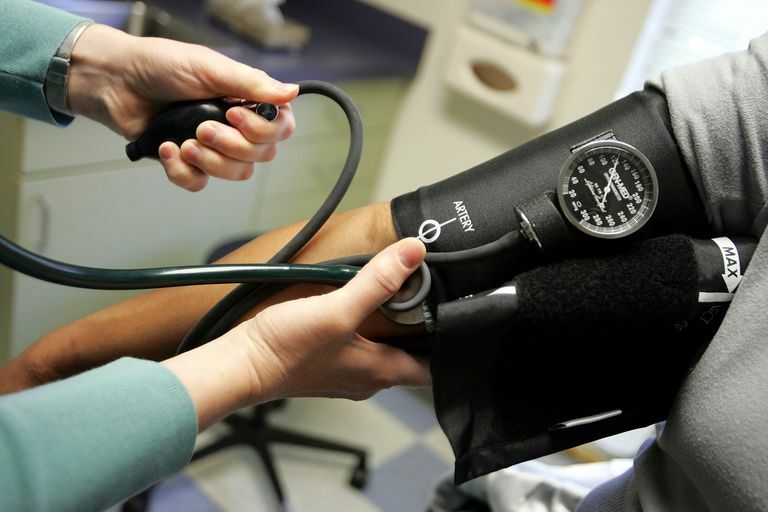 Many people with high blood pressure are able to use the most common antidepressants with no problems, but some may require adjustments to their high blood pressure treatment program. For patients who require an antidepressant, finding the right medication--or a combination of medications--can be a trial-and-error process. The goal of any treatment plan is for the benefits to outweigh the risks or side effects. If the one medication doesn't work well for you, there are many more available that you can try. Keeping an open dialogue and good communication with your prescribing physician is key.